From the 1st to the 3rd November, over 400 participants representing 205 institutions from 80 countries gathered in Berlin for the annual global SME Finance Forum. BIIA attended the event as a member of the Forum and was represented by Deputy Managing Director, Neil Munroe. 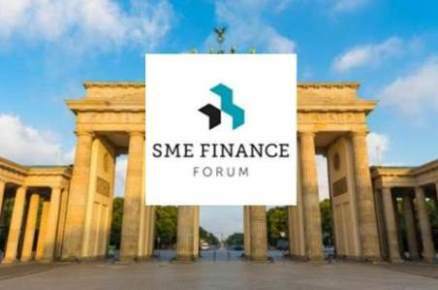 The Forum works to expand access to finance for small and medium businesses and operates a global membership network that brings together financial institutions, technology companies, and development finance institutions to share knowledge, spur innovation, and promote the growth of SMEs. This year’s conference theme was “Digitization of SME Finance” with keynote speakers and panel sessions covering how Fintech is transforming SME lending with the digitization of payments and the use of big data, artificial intelligence, block chain and machine learning. The current very topical issue of cybersecurity was also discussed highlighting the need for Fintech companies to be aware of the possibility of cyberattacks and the need to put policies and procedures in place to combat such attacks. The Forum event was also used to launch the results of a recent joint report by IFC and the SME Finance Forum<http://www.smefinanceforum.org/data-sites/msme-finance-gap>, to reassess the the MSME finance gap in developing countries, with the report finding that 65 million enterprises, or 40 percent of formal micro, small and medium enterprises (MSME) in developing countries, have an unmet finance need of $5.2 trillion a year. The previous assessment in 2010 estimated the gap to be $2 trillion.